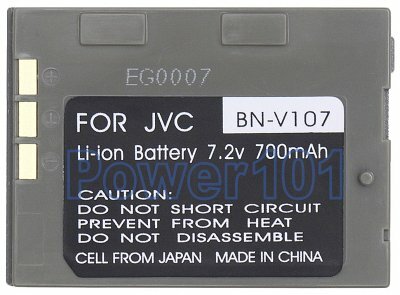 JVC BN-V107 is the small battery in the compatibility series of BN-V107 and BN-V114. It has a nice silver finish to fit your silver camcorder. 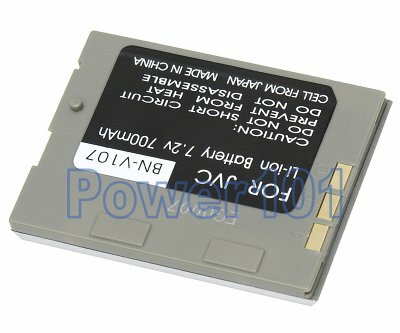 Occasionally, these batteries are referred to as BN-V107U and BN-V114U. The "U" at the end does not imply anything. These are just different names for the same batteries. V114 is just twice thicker, but priovides double the runtime, and as such is highly recommended over the standard V107. It does not extend too much from the camcorder, and still looks very estetically pleasing. Only V114 will keep you filming more than 2 hours on the same battery, and occasional sessions you'd have will definitely be longer. Also, one V114 is cheaper and much more convenient than two V107's. Some of the compatible camcorders are: JVC GR-DX300, GR-DVP3U, GR-DX75, GR-DX77, GR-DX97. Many other camcorders are compatible, please check our compatibility list. 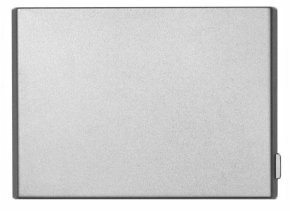 These batteries can be charged by any standard charger for BN-V107 or BN-V114 batteries. Or charged directy on your camcorder.